A couple of weeks ago I was in New Zealand attending the ARANZ/ASA Conference. The Conference theme was “Connecting: Past, Present and Future” and it was set in an ideal location to generate thoughts and conversations about the role of archivists in safeguarding and making sense of past, present and future for communities. 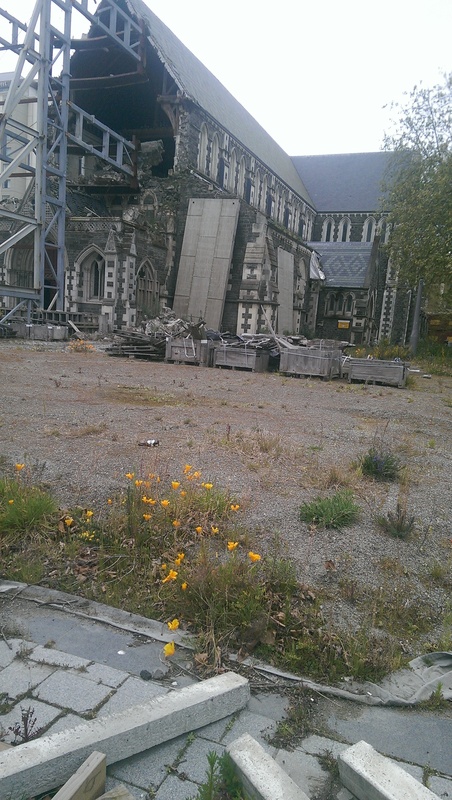 Christchurch Cathedral after damaged from the 2011 earthquake. It has not been decided whether the Cathedral will be pulled down and replaced or restored. The Cardboard Cathedral, or temporary Cathedral built of cardboard cylinders. 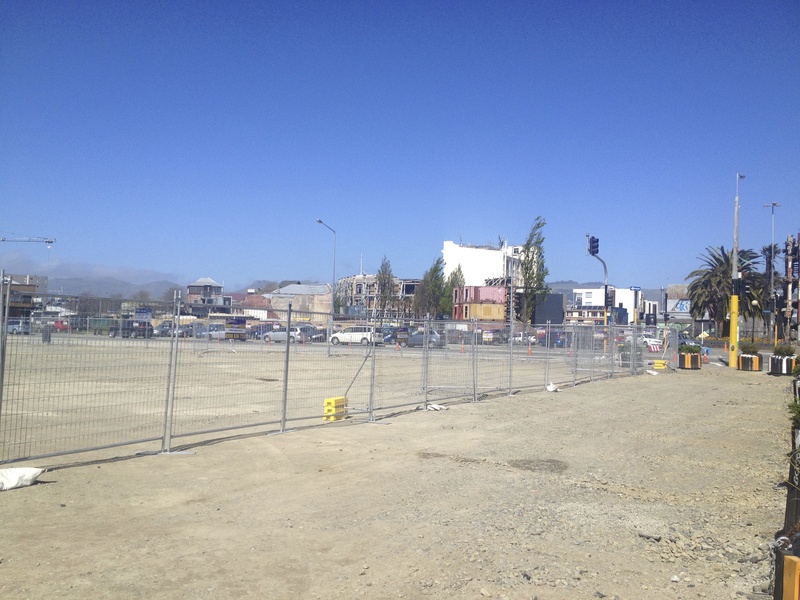 Around 4 years ago Christchurch was devastated by earthquakes. The first on 4th September 2010 in the Canterbury region had caused significant damage and the second on 22 February 2011 caused widespread destruction to the built environment and the death of 185 people. Although we in Australia were very aware of the disaster at the time and Australia had considerable involvement in emergency assistance, you really had to see the city centre, even 4 years on, to realise the scale of such a disaster on a large city. Not only were buildings destroyed but the infrastructure as well – power, water, communications, roads. To even begin rebuilding, damage had to be assessed and rubble removed. Now the city centre is open and we stayed in a newly strengthened hotel but it is very quiet with few shops or restaurants, with many sad gaps where buildings had been. 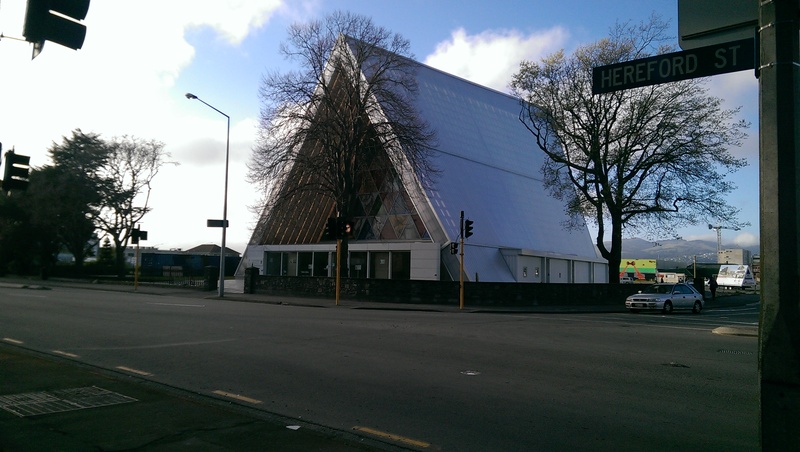 Some, like the famous Christchurch Cathedral stand propped up like medieval ruins. Others are in the process of being demolished and are wrapped in plastic to restrict dust. All night the sound of demolition and building can be heard as a city is rebuilt around you. It is eerie and apparently the locals still find it too sad to go into the city centre. But they also see it as an opportunity to design a wonderful city and display amazing creativity in the use of the ‘gap’ spaces for performance and art. The most memorable parts of the Conference was talking to archivists and records managers from Christchurch who had experienced the earthquake and the resulting effects on their work; the loss of paper records or access to them, the need to access the official record for people who had lost all their possessions including their personal, legal and property records, the growing requirements to provide a memory of a city which had largely disappeared for the community’s wellbeing. We heard about and saw photos of the destruction of the local authority and law court buildings with compactus knocked over and lying on top of each other and files damaged by liquefaction. Staff were not allowed into the buildings until they had been assessed and only months later made dashes in out reclaiming what they could but leaving the rest to be bulldozed with the buildings. But primarily we heard about the value of the archives to a community which had been severely traumatised and lost the landscape of its memory and the work of piecing together this memory so that the community could be reminded of its past, deal with the present, and plan for the future. There are still large gaps in the city landscape but performance and artworks based on the former uses help to populate the community’s mental landscape. 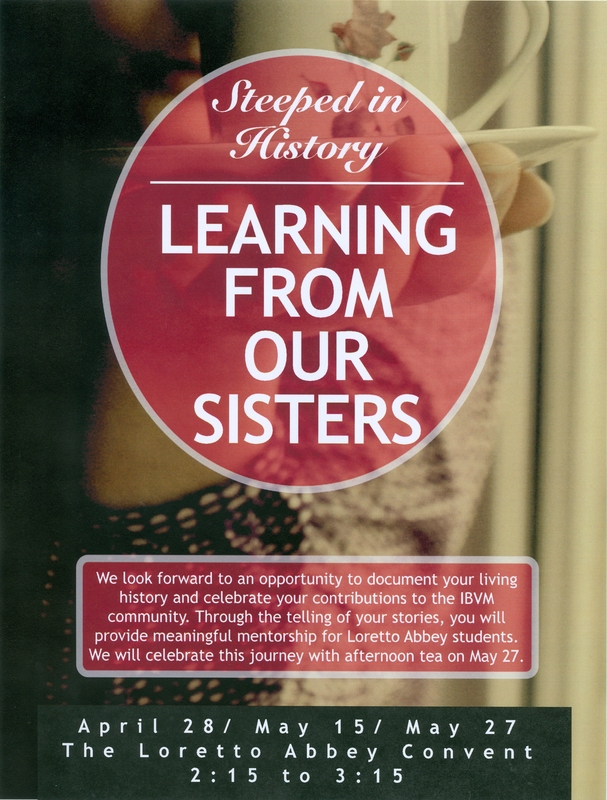 After meeting with two of the teachers from Loretto Abbey School and the director of the Mary Ward Centre, a project involving connecting the Loretto Sisters with the students was developed. The students would meet with some of our sisters and interview them over the course of two afternoons. 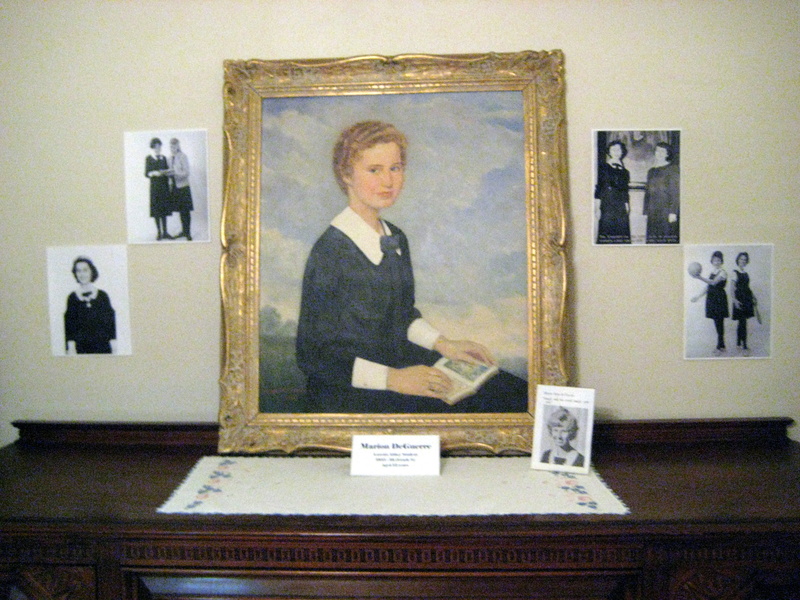 The students would then create an artistic representation related to each individual Sister’s life and present it at a formal tea event. 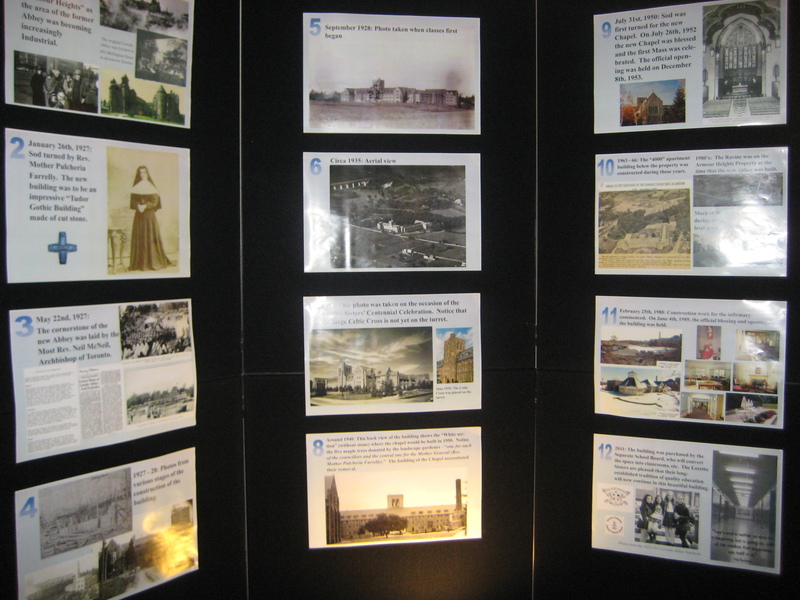 Our display from “Doors Open” was up on the first day of the meetings, allowing these students to benefit from the added historical information. The archives would receive copies of all raw materials from the interviews (including notes, video, photos etc.). With little time to conduct oral interviews, this was a wonderful opportunity to capture some of the living history of the Institute. The formal tea and presentations were also interesting, with gifts of thanks including items such as globes (for those who travelled), scrapbooks, plants (environment conscious) and music performances (a beautiful rendition of Edelweiss). “Jane’s Walk” is a movement of free, locally led walking tours inspired by Jane Jacobs (urbanist and activist). The walks are meant to get people to explore their cities and connect with their neighbours. 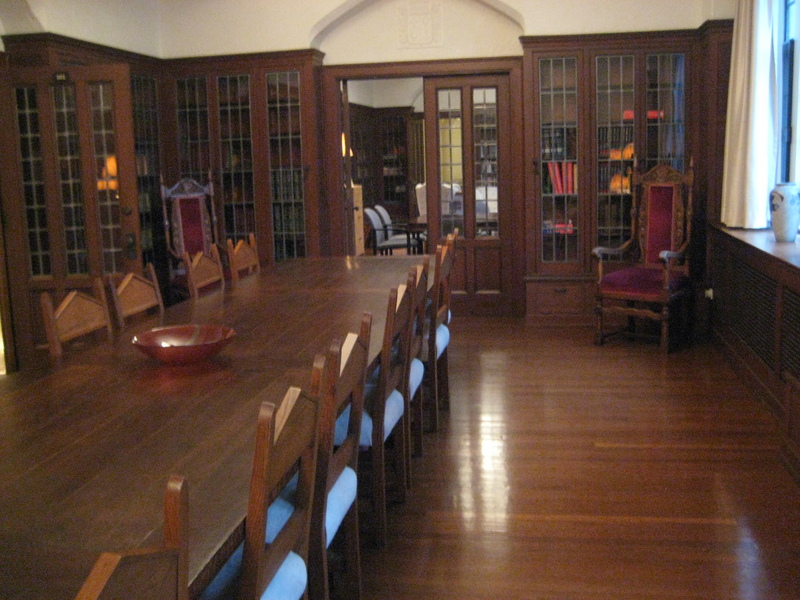 On May 3rd, 2014, a group gathered at Loretto Abbey for a tour of the first floor of the convent, with refreshments served afterward. The “Doors Open” display remained for this event. 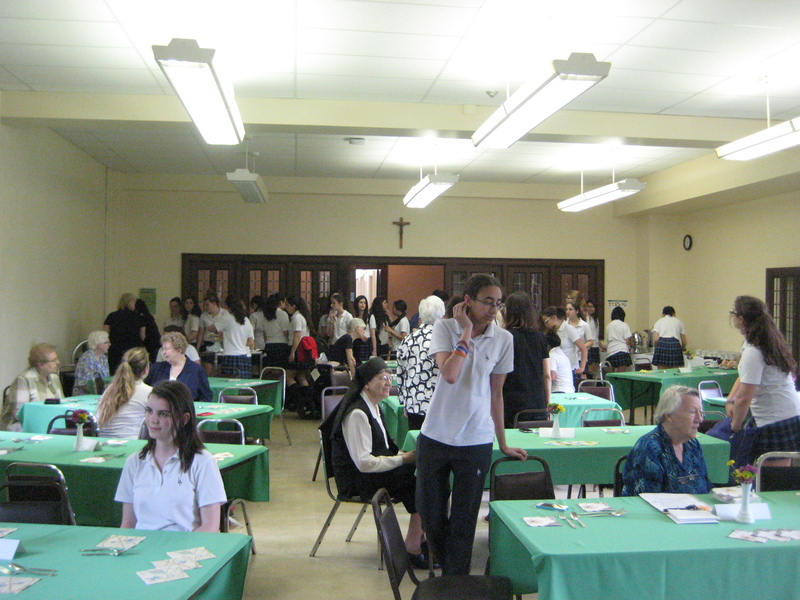 The tour was written by Sr. Juliana and led by me (Michelle). I n September of 2013, we were approached by Loretto Abbey’s “Friends of Loretto” committee to work on a collaborative fundraising event. 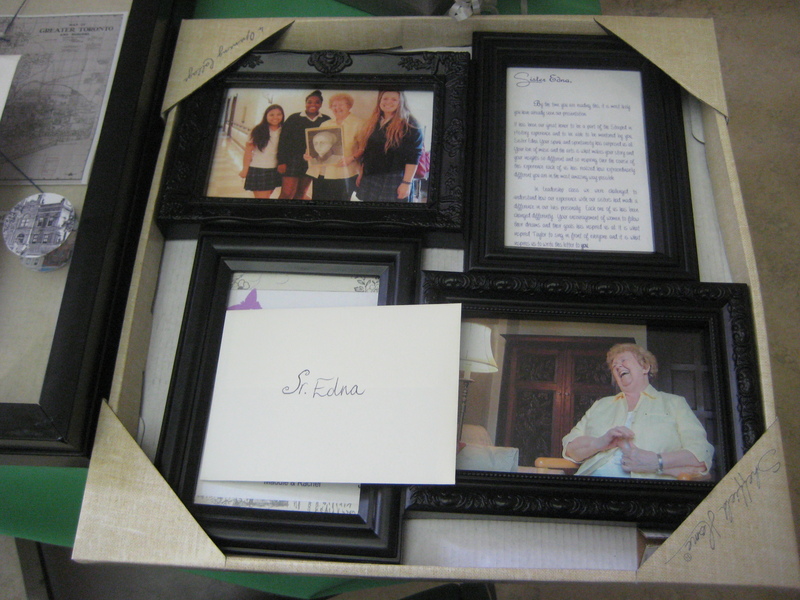 “Friends of Loretto,” created by the parents of students attending the high school, is a charitable organization focusing on supporting the needs within the school community. Past Projects have resulted in upgrades to the school’s sound system, lighting in the auditorium and kneelers in the chapel. 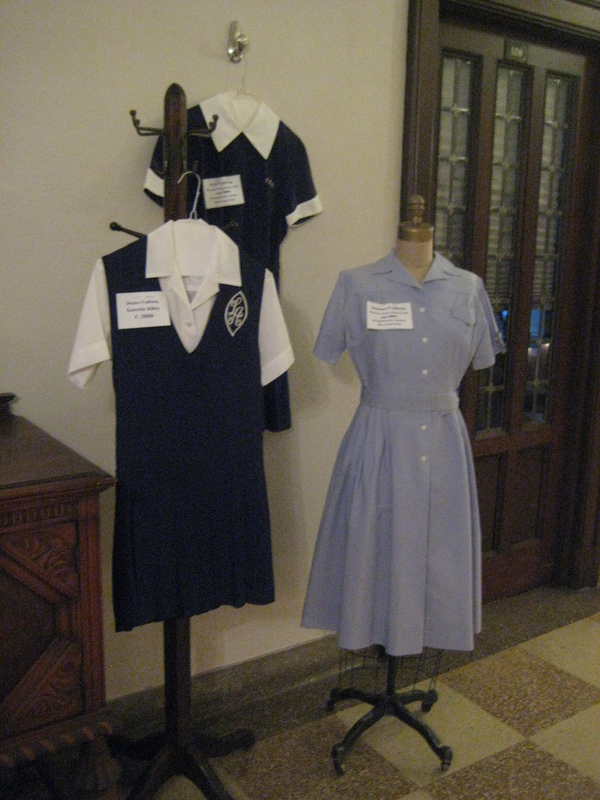 The tour guides were volunteer parents, former teachers and alumnae. Needless to say, this required a vast amount of preparation. Our hope is that these items and the format of the tour can be used in future (perhaps when the Abbey closes). The event was a HUGE success. 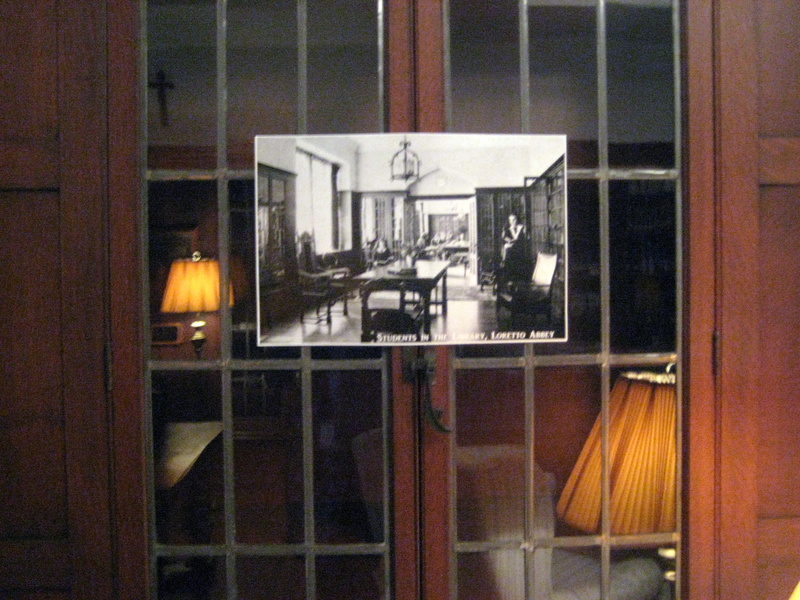 Parents, alumnae and friends gathered that night to learn more about the school’s history and Loretto connections, as well as to reminisce. 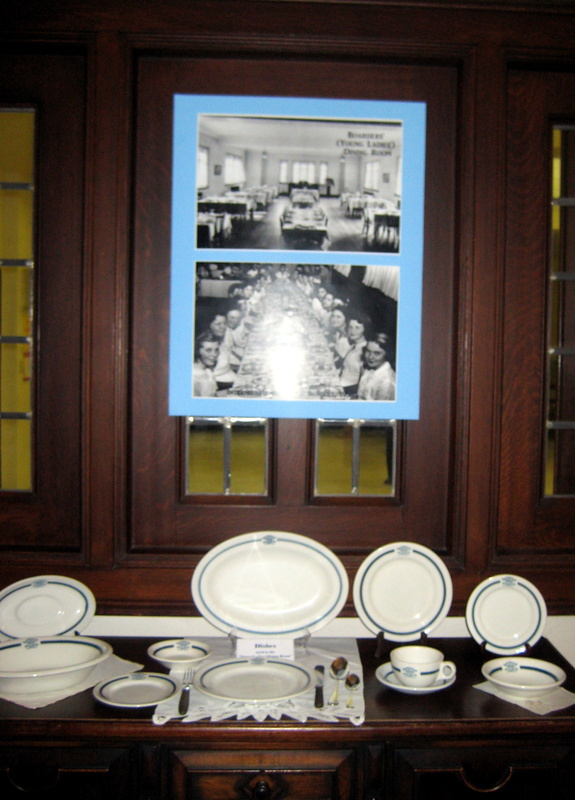 The archival photos scattered throughout both buildings added depth to the tour and delighted both parents and students (who had the opportunity to view them for a few days after). 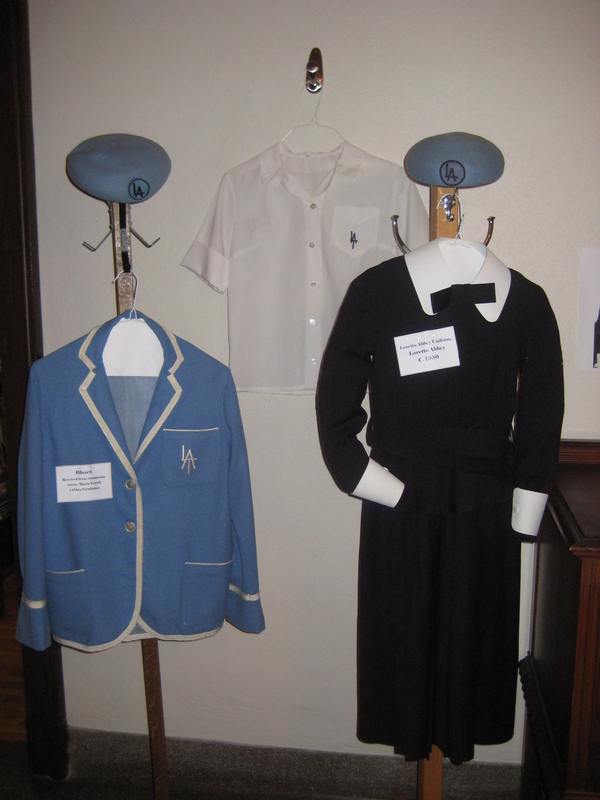 As a huge added benefit, the archives was able to use the displays for two subsequent events including a school/Mary Ward Centre/Archives collaboration and a public touring event called “Jane’s Walk” (more on these later). From 100th birthday celebrations to historic tours, much of the time of the Canadian Province archives this year has been occupied preparing, creating and delivering exhibits for display. 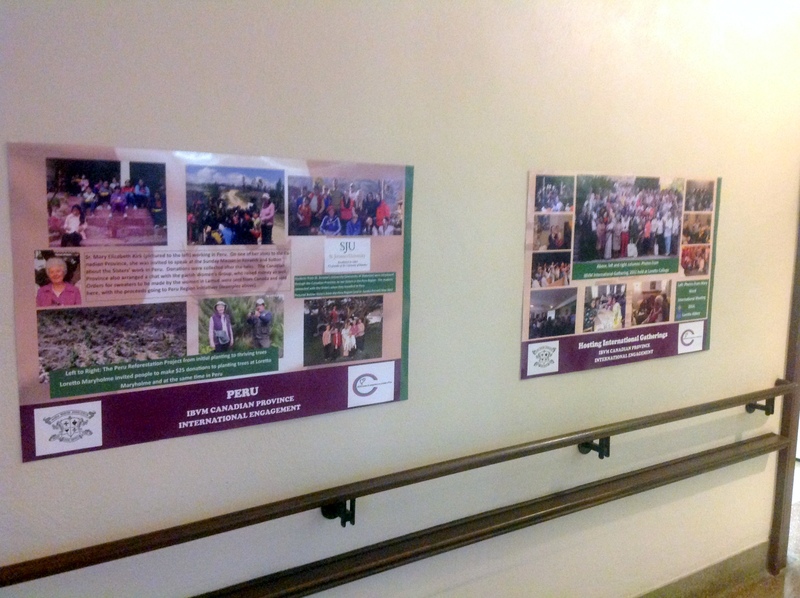 The posters were printed in colour on large format paper (glossy). With so much information, we think the format suited the needs for the meeting. We easily attached them to the walls with Velcro strips, and only had minor problems with some of them falling. We hope to use them in future, perhaps with additions of Canadian Ministries as well.